Track A1 composed in 1984, recorded in 1986. 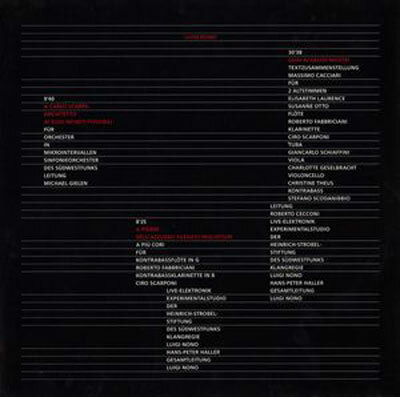 Track A2 composed and recorded in 1985. Track B composed in 1983, recorded in 1985. Pressed in an edition of 1000 to 1500 copies with a black and white 12-page 12"-sized booklet in German and English.